(CNS): The United Democratic Party will be moving its campaign trail to Bodden Town tomorrow evening but it is not clear who will be on the platform as the former premier has not yet revealed who he well be fielding in the district. While Chris Saunders is expected to be one of the party’s four hopefuls the public split between McKeeva Bush the interim government will see the other three as yet unnamed UDP candidates running against two of Bush’s former Cabinet colleagues – Dwayne Seymour and Mark Scotland. However, both incumbents and the UDP candidates are likely to find the district a tough campaign ground in light of their support for the proposed relocation of the country’s landfill. The UDP and the two interim Cabinet members support the ForCayman Investment Alliance with the Dart Group, which proposes to close the George Town dump and open the first phase of a waste-management site close to the wetlands in Midland Acres, an issue which has divided the district. The last time the UDP went to the district the then premier faced a relatively small but angry group of protestors regarding the proposed move. With both the UDP and the former UDP members all supporting the move the opposition PPM has a serious chance of making a clean sweep in the district where it is fielding the incumbent Anthony Eden, former representative Osbourne Bodden, along with newcomers Al Suckoo and Wayne Panton. One other independent has declared for the district so far, but with four weeks to go before nomination day no C4C hopefuls have yet announced their candidacy in Bodden Town. The UDP has still not revealed its intended slate but the party which opened its new party HQ in George Town in last week party officials have stated that the UDP will field a full set of candidates in the three main districts. So far only Chris Saunders has been revealed as a certainty for one of the four BT seats. However, former Coalition to Keep Bodden Town Dump Free member Vincent Frederick who left the advocacy group told his former fellow campaigners that he was looking to join the UDP ticket at the forth coming elections. Despite his defection from the cause and alleged intention to run with the UDP neither he nor the party have confirmed his candidacy. The Meeting is scheduled for 7pm at the Bodden Town Post Office Parking Lot and officials from the UDP said everyone is invited to attend. They really need to take this campaign to 12 mile bank and spout off all they want there so we don't have to read all this rubbish.. They look like amateurs, smell like amateurs and walk like ducks. Sorry for the insult to Ducks. Smells better in west bay already! Can’t wait till they take their show overseas ! UDP spells trouble, more of the same. I want new and honest, smart individuals. I’m so proud of all the new independents showing up. No more UDP or PPM, enough. I understand that Mr. Charles Clifford will be declaring next week. And now Mac is bringing on young intelligent people that will think for themselves instead of a bunch of cronies? Too little too late…. At least Mr. Bush is putting forth people that actually work, not like the PPM who have people earning thousands of dollars for going out fishing and running fish stands instead of working for the people. And what about Anthony Eden? Can someone please tell me what he looks like? I'm sure that is how the PPM left us in near bankruptcy – by spending their time playing dominoes! You forgot to mention Capt Eugene and Ellio. Say NO to UDP, it makes perfect sense! The web get very tangled when deception is used to often. There's not enough Macaroni in BT for Worst & First Leader to pull this off. When the indictment is handed down all the bats will be leaving the Cave at break neck speed all over these Islands. Stick around and watch them squirm. Whoever commits to the new and improved landfill site has my vote and those of the other coalition members. If Scotland and Seymour fail to take the necessary action to make this happen prior to May, they will have failed the people of the Cayman Islands and should hang their heads in shame. What foolishness is this that "they will have failed the people" They failed the people from day one. This is our chance to chance to give they a resounding NO. Whoever commits to remediating and keeping the dump in BT has my vote and most of the votes in BT. Scotland and Seymour and the entire UDP have failed the people of BT and the Cayman Islands in supporting this illegal relocation of a new, but not improved dump to BT. All those in the coalition for a dump free GT who moved to live by the dump and now want it moved should have perhaps put more thought into where they chose to settle here and need to stop being such narrow-minded NIMBY's. Can't wait for the UDP to receive their rude awakening at BT tonight. Hopefully it will be worse than their worst nightmares. I am going along just to laugh at them. I fully agree with you. It is about time that the matter of the dump be addressed and the fact that the new site will have a waste management facility and NOT A DUMP as we have now in GT should be good reason for Bodden Towners to carry their share of the load. For too long GT has become an eyesore because of the NIMBY (not in my back yard) attitude. Whoever can get that done has my vote too! So you obvious haven't read the salient documents. All they are planning to put in GT is the same lined dump. It will have the capability of becoming a modern waste management solution, but not unless and until the government pay for that part… and lets face it, that's not going to happen when successive governments now have us up to our eyes in debt. UDP can stay out of BT, for they are but a bag of wind. 90 days they said they would the economy turn around, but four years later and there is still economic sufferin'. The blunders they made with Cohen, GLF and Chinese, is totally unaccceptable to us and when you add to that the giving away of public land for a pittance, and then giving up the hotel tax and wanting to push the dump up to BT to get it out of Dart's eyes, you don't have to ask, but you can feel, UDP not welcome at all in BT. You've crapped on us and you can call it what you like, but you may as well stay in WB, cause we sure as hell don't want to see your face in BT. Congratuhallelulalations Bodden Town. Things are indeed looking up for Cayman. They are very obviously being chased out of West Bay as well in spite of the millions upon milions upon millions of public dollars that have gone to hell to keep them floating there. God help Cayman if the George Towners (Jamaicans) fail to see what they have done to our country with the help of the likes of backside kissing foolio and santa. Those backside kissers are used to hand out, sell out and pay out and kick out. Yes things are getting very desperate. The man is turning from paid ganja heads to paid pan heads to keep him in power. He is even changing Gods to keep him in power. God help our poor country. Chased out of West Bay? Please, haven't you seen the hoards of people at our meetings? You must be blind. Even at Mr. Bush's birthday party,we can honestly say throughout the hours there were about a 1,000 people. UDP knocked down, but not gone! Seems we still have about a thousand people who love free kool aid and free food and free hand outs. What percentage is that of fifty thousant? Ask yourself why the UDP got knocked down, fruitcake. Stop talking non sense ! do you really believe that all those who attended are really supporters? We the public, are taking every opportunity to listen to these losers and to ensure that we are not and will not tolerate any more of these thugs in full suits ! and by the way, with the cost of living so high who could refuse a free three course meal, free alcohol and a few good laughs? what a laughing stock the bunch of them are ! eat um out, drink um out, and sweep um out after ! hehehe how you like that? I know exactly what is going on in the district of Bodden Town. First I must say that PPM has as much chance as an ice cube in Hell. They are not getting back in in Bodden Town. Anyone who wants to waste a vote can put it there. Right now we have a split toss up between the Two former UDP members and two from the UDP team. PPM is not going any where. There we have it folks. The entire problem with parties spelled out in very plain English. And lets not forget, it doesnt matter who Mac puts on the new UDP team in BT they are cut from the same cloth. Any candidate that supports the UDP attempt to return to power is not looking out for whats best for Cayman. I hear Chris Saunders, Theresa, Vincent are all climbing on board the sinking UDP ship and I warn BT voters to observe these candidates with an eye of scrutiny. 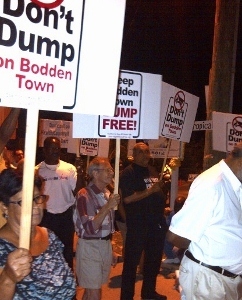 They are all wolves in sheeps clothing, they are resigned to deceive and mislead the Bodden Town people and they are going to bring a flawed dump plan to Bodden Town which will be a new MT Trashmore in 4 years. I am sorry but with candidates like the new PPM Team (Suckoo, Panton, Bodden and Eden), there is no way I am wasting my vote on these benedicts. In comparison to Jon Jon, Mark and this new UDP Team there is no way you can convince me that the PPM team will not get things done for Bodden Town. They say the PPM spent too much money but take a look at what they actually did. * PPM was the first to bring Higher Education to the Brac by opening a UCCI Campus. Look hoe much we have benefited from the Sports Stadiums alone ! PPM built a nation and UDP spend 4 years destroying it! Perhaps if the PPM had not left the Govt in near bankruptcy and at the mercy of the UK the UDP would have had a better chance of fully turning the country around. Unfortunately, people like Alden McLaughlin and Buzzard Miller are so obstructionist and spread untruths many times on everything that it is difficult to get anything done. Still, the UDP managed to have some excellent accomplishments despite all that. Imagine if we had actually worked together? Please Caymanians stop the crabs in the bucket mentality. Caymanians havealready sold their land, we employ foreigners over our own and most times if it's for us, we'll go along with it, but if it's for our neighbour then we complain. Our selfish attitude is what brings us down. Throats were literally cut to reinstate the UDP to power four years ago so they could "turn the economy around in 90 days". IT HASN'T HAPPENED, four years later, Cayman. In fact it can very safetly be said that we are WORSE off than we were four years ago in terms of unemployment, crime, unbearable taxes, totally failed leadership that is currently on police bail and has been under multiple crimimal investigations for years, and the list goes on. You are right on one point though, "imagine if we had actually worked together". That is indeed the biggest problem Caymanians face as a nationality. And the UDP gowerment has forever represented the epitome of that problem. Praise be to the Almighty that is coming to an end. Soon. I agree with you 1000%. I have to live on a pension and thanks to UDP and massive spendings, the cost of living has multiplied more that 40% for some of us. The former premier needs to sit down now and the supporters who stuck with him in light of criminal investigations are worse than he is. I did not expect anything from Foolio. He is hanging on to that coattail no matter what. However there are a couple who used to be fine men and still are, but are completely snowed by the fast-talking, shouting, blustering former premier. It is a shame that things have gone this way, because the man could have made a good name for himself and country, but now, the Cohen and CHEC deals have left a major bad taste in everyone's mouths and only his political demise will alleviate that. Don't know who is worts, him or Mark. BT voters, take my advise, don't vote for the past UDP defectors OR the next batch of power hungry UDP replacements. Don't worry. We're not likely to. They've let us down with their lies and false promises too much already. Most of us with any sense, have now wisened up. Thats right. Bodden Town will not be voting for multiple criminal suspects this election, nor for anyone that has anything to do with them.